← Monkeys with an M? 1. You people aren’t on the internet on Saturday. Good for you! Go get some fresh air! 2. Apparently not everyone has a way to check their search strings to post for the contest. Here’s how you do it: Go to Google Analytics. Click the little “analysis” link under the lovely pie chart. On the next page, your list should be at the bottom right hand side. You can also sort it to show more than just today’s, which should give you more to choose from. 3. Iron Man is still awesome. Okay, so maybe fetching is too strong a word, but I don’t look shabby, even with the poor posture. And stuff. 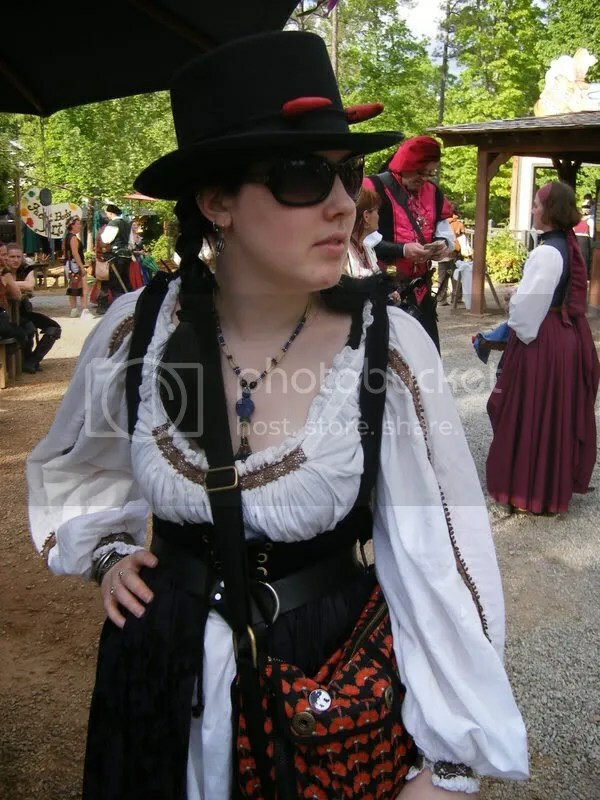 This weekend will be an SCA event, so more of the same, but less of the stretch velvet and campy crap (but I love the Renaissance Festival, don’t get me wrong). Yesterday, instead of working on Super Secret Project #2 (I’ve made progress but have yet again misplaced my camera cable), I did some hand sewing while watching Pride & Prejudice, and drooled a little over Colin Firth. The sewing appears to be none the worse for the drooling, thankfully. This entry was posted in General stuff and tagged blog stats, iron man, renaissance festival, sca, sewing, super secret, top hats. Bookmark the permalink.